Let’s go walking Ridgeland…at the 2015 Mayor’s Fun Walk! This year’s walk will be held on Wednesday, October 21 at 9:00 am and will begin at the Ridgeland Recreational Center with a stroll on the beautiful multi-purpose trail. 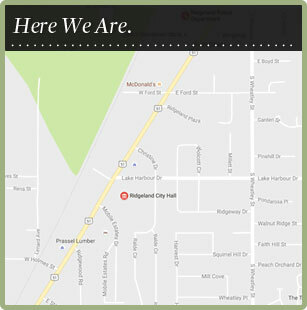 Mayor Gene McGee will lead us on an easy (light) walk using the beautiful multi-purpose trail. You may walk as little or as much as you want. We will return to the Ridgeland Recreational Center for refreshments, door prizes, and entertainment! Our entertainment will be the musical trio, “Sally, Tim, and Mike.” They will perform a medley of classic rock, Motown, blues, and folk music. Music for everyone to enjoy! Call Ridgeland Recreation & Parks at 601-856-6876 or e-mail Lynda.Assink@ridgelandms.org for more information.